It’s no secret that more than a few football legends have emerged from the University of Alabama. Many a Crimson Tide standout has gone on to do great things on the field after leaving their alma mater. But the football program doesn’t lay claim to all of the prominent alumni of this storied institution. Let’s take a look at just a few of the famous names that the University of Alabama has produced. This Emmy Award-winning actress is known for many things, not least of which is her work on hit shows Sisters and Once and Again. She was also a model, appearing in many national television ads. During her tenure at the University of Alabama, Sela Ward was a Crimson Tide cheerleader, homecoming queen, and a member of the Chi Omega sorority. She graduated in 1977 with a degree in art and advertising. Currently, the host of MSNBC’s Morning Joe, Joe Scarborough wears many hats: He is a cable news and talk radio host, lawyer, author, and former politician, having served in the U.S. House of Representatives from 1995 to 2001. He attended the University of Alabama as an undergrad and earned a BA in 1985. This standout alum is a NASA astronaut and a retired colonel of the U.S. Air Force who twice served as pilot on space shuttle missions. He earned his M.S. degree in aerospace engineering from the University of Alabama in 1996. American novelist Harper Lee is best known for her classic, Pulitzer Prize-winning novel To Kill a Mockingbird. 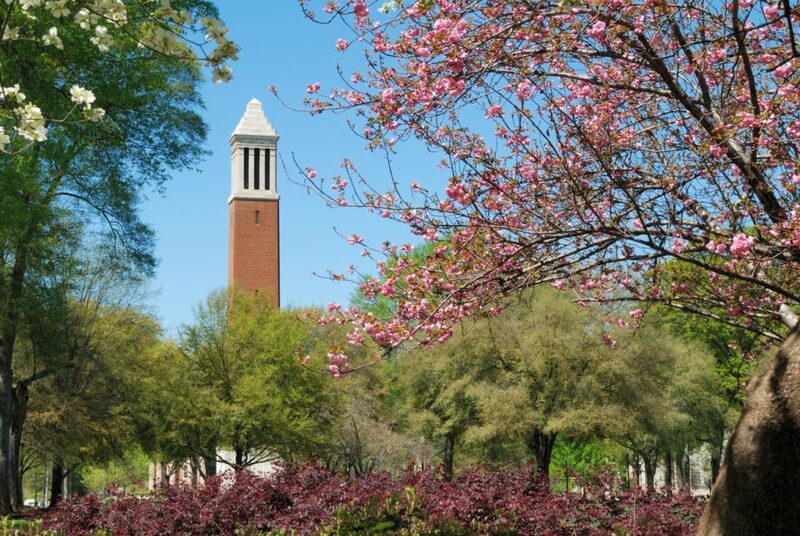 While she did attend the University of Alabama, studying law for several years and writing for the campus newspaper, she did not complete her degree there. Still, her amazing contributions to the literary world make Harper Lee’s ties to the Capstone well worth a mention. A vivacious, multi-talented Alabama native and former student at the University of Alabama, Fannie Flagg is an actress, comedian, and author. Her accomplishments are legion, but she is perhaps best known for writing the novel Fried Green Tomatoes at the Whistle Stop Café, which was adapted into the 1991 film for which Flagg was nominated for an Academy Award for the screenplay. The University of Alabama’s hometown is also home to Bama Buggies. Our dealership specializes in new and used ATVs, golf carts, and UTVs and is an authorized dealer of Sea-Doos, E-Z-GO, Bad Boy, Polaris, and Polaris Slingshot. Powersports is our focus, and we’re committed to helping you find the right vehicle to maximize the fun on your next adventure. Visit us today and find the best model for your needs at a great price.